Water supply networks, whether old or new, often present problems of water leakage resulting in heavy losses of valuable drinking water. 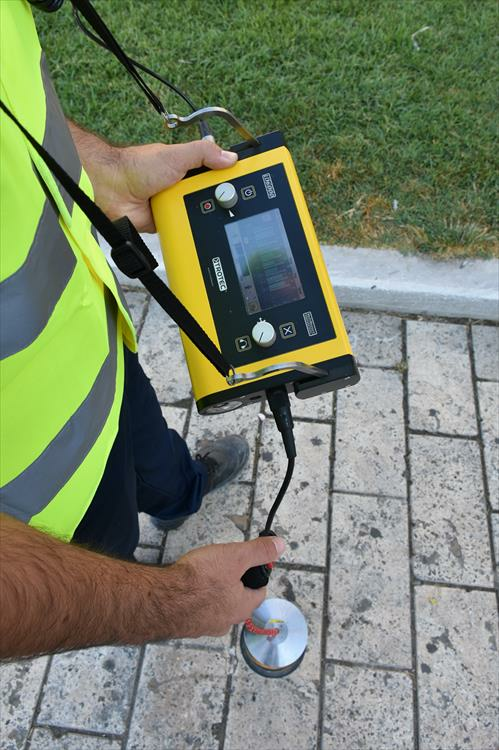 By using the right equipment it can carry out a coordinated and effective investigation into leak detection at low cost. Frequency analysis (acoustic). Frequency analysis technique uses the fact that the water coming out of the leak produces a noise. 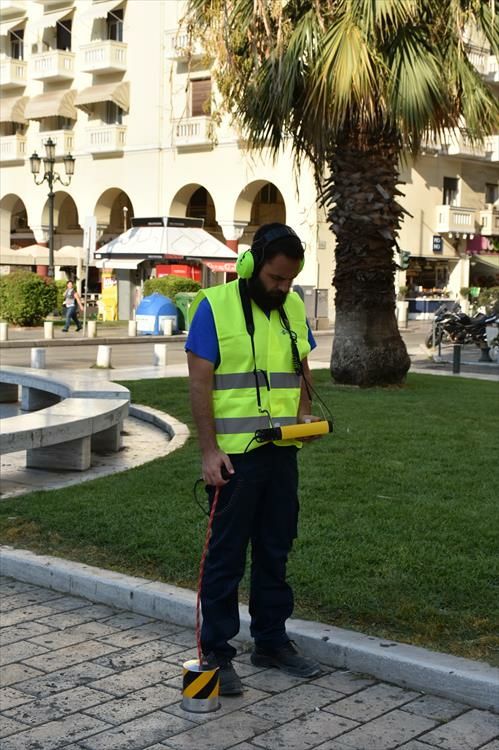 This noise is spreading on the ground and can be detected by very sensitive microphones. Correlator. The process of correlation as the acoustic method analyzes noise leakage. In this case it should be placed two microphones in the pipeline (front and rear of the leak). The sound transfers from the leak with depending speed and leads into microphones at different times. From these measurements the correlator calculates the distance of the leak. Accurate diagnosis of leakage can be achieved with the correlation device, when the path, diameter and the pipe material are known. 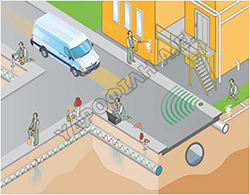 If this method does not work means that the leak is very small and can be detected by the method of gas detection. Control method with gas. 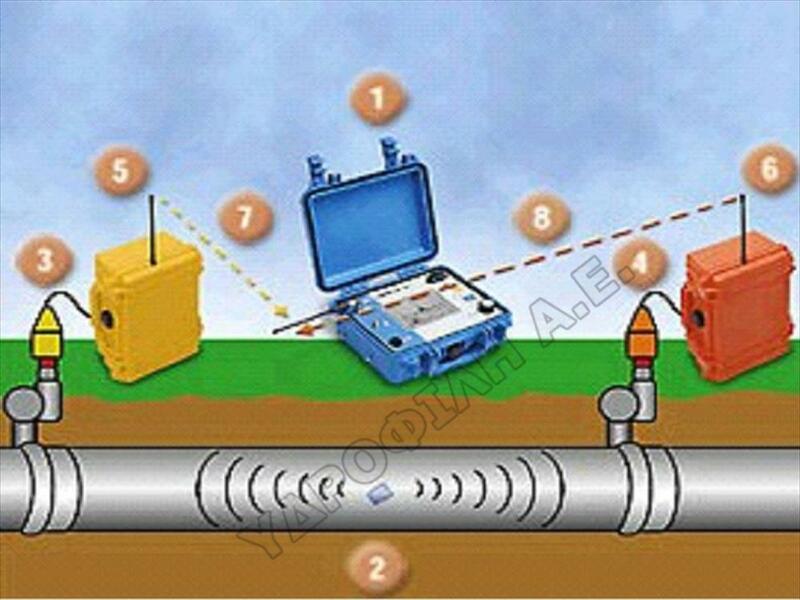 In the method of gas detection first the pipeline is evacuated from the water and then filled with a specific gas mixture of hydrogen - nitrogen which is friendly to the environment and humans. Then detect the surface area with a special gas detector.